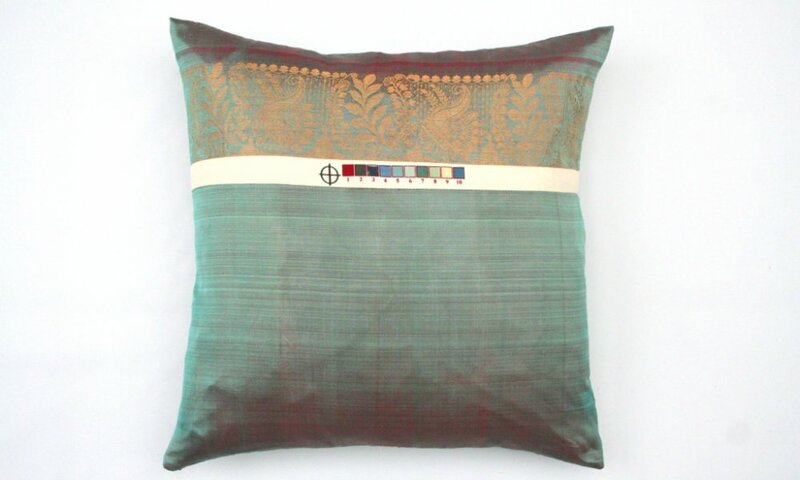 45cm square cushion in teal gold embellished silk saree with printed selvedge strip in cotton. The back is in plain silk to match. Cushion has concealed zip, feather pad and brand label. 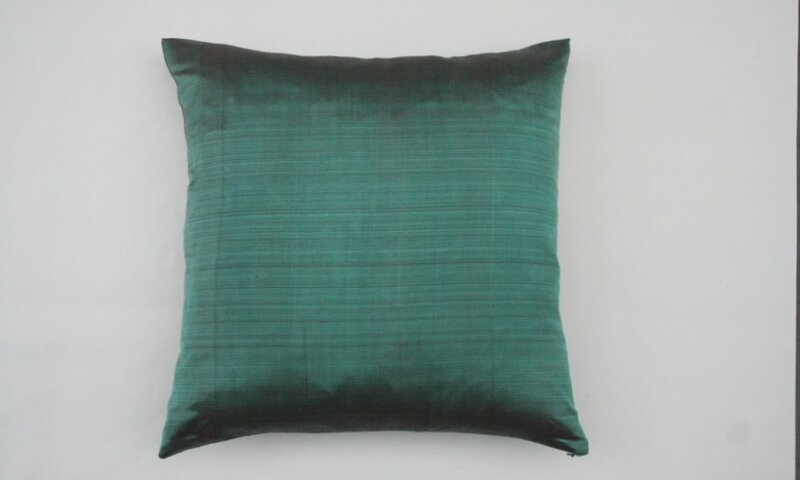 This cushion is a one off and is dry clean only.